We were delighted to support a special Father's Day breakfast at Ravensthorpe Primary School on Thursday 14 June. 54 dads and grandads joined the event and took part in football-themed literacy activities with their children. Every child took home a brand new book, gifted by Walker Books, and the dads also had the chance to choose a new read. 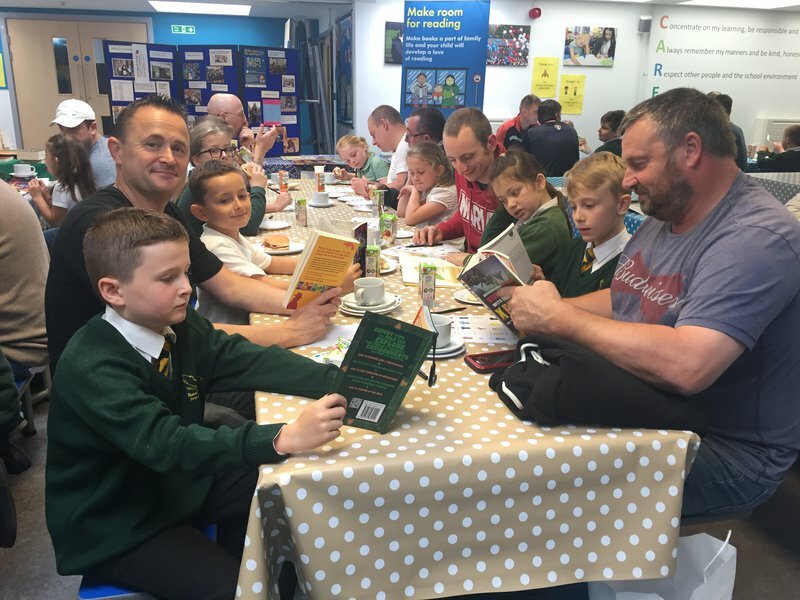 The event aimed to encourage dads and carers to engage in their child's learning and spend time reading with them.